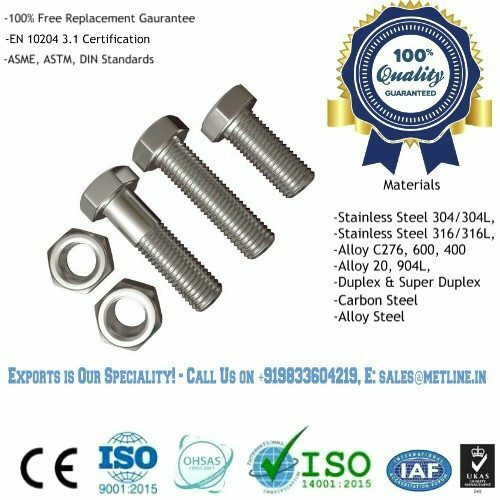 Hex Bolts Manufacturers. 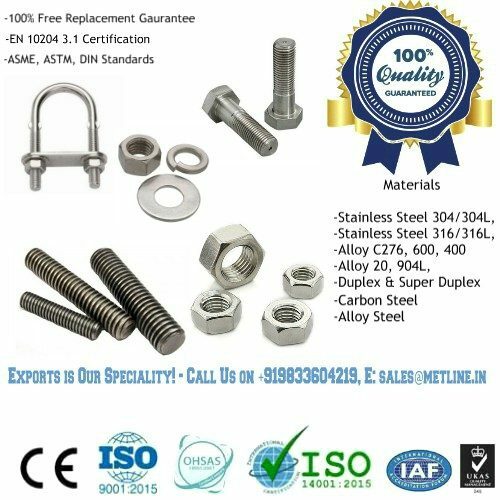 Buy Top Quality Stainless Steel & Special Alloy Hex Bolts at Best Prices! A hex bolt is a fully threaded or partially threaded bolt with a hex head. Metline specializes in the manufacture of hex bolts as per ASTM A193, ASTM A320, ASTM A325, ASTM A307B, and ASTM A490. We offer hex bolts in materials such as ASTM A193 Grade B8M, Inconel, Monel, Titanium and Other Special Alloys. We provide hex bolts as per DIN Standard 931 & DIN Standard 933. Hex bolts (six sided heads) are the industry standard for fasteners with forged heads. ASTM A307 grade A bolts, all SAE hex bolts, and several other common specifications require a standard (finished) hex head. However, for specifications such as A307 Grade B, A325 and A490 require a heavy hex pattern. Our regular hexagon head cap bolts and production range includes size 1/2” to 3″ diameter. 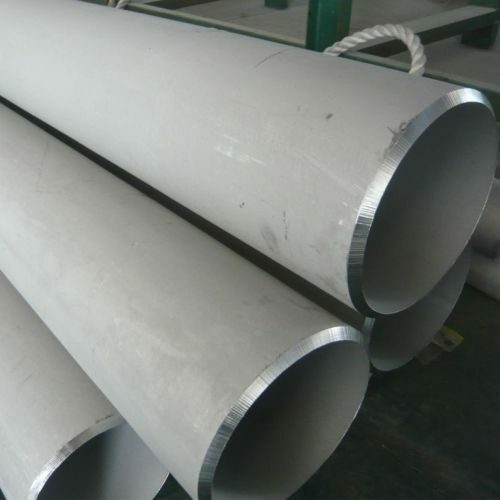 We can also offer custom sizes, as per requirements from our customers. 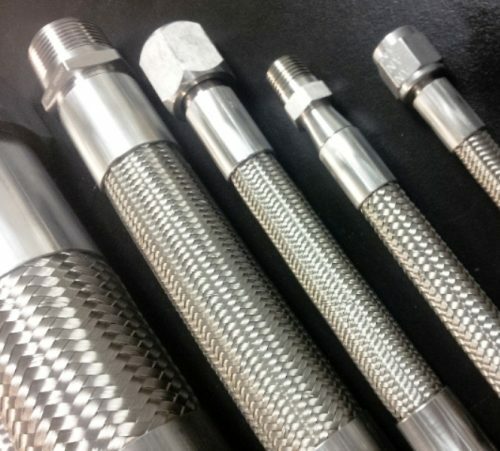 We manufacture hex bolts in Stainless Steels (ASTM A193), Alloy Steels, Carbon Steel (ASTM A307 Grade B) and Structural Steels (ASTM A325 & A490). ASTM A193 heavy hex bolts are manufactured for use in high heat conditions, while ASTM A320 standard covers extremely low temperature conditions. Heavy hex bolts are generally used in high temperature or high pressure applications as well as bridges, highway, buildings and other construction projects. Hex bolts are available in Plain, Zinc Plated, Hot Dipped Galvanized, Black Oxide, Silicone Bronze, Yellow Zinc, Aluminum, SS 316, and SS 304.